Employment Options is a national Social Security Administration (SSA) Employment Network in the Ticket To Work program. 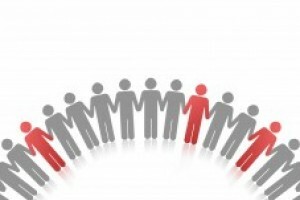 For over 20 years, we have helped 1000’s of our clients successfully return to work. Our clients are recipients of Social Security disability benefits (SSDI) and (SSI) and receive our free help to find suitable employment in either Work At Home or community positions in 47 states. We Specialize in Work At Home Jobs! Find out if you meet our Minimum Requirements to Work At Home. If you are receiving Supplemental Security Income (SSI Non Retirement) or Social Security Disability Insurance (SSDI) benefits and want to return to work, you have come to the right place! 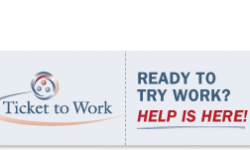 We offer free job placement and other vocational services in 47 states in both Work At Home and local community positions for beneficiaries using the free Ticket To Work Program! Lisa Seeley, Work At Home Job Placement Specialist, describes the variety of legitimate Work At Home jobs offered by nationally branded companies through our free job placement services. Lisa is one of many Job Placement Specialists at Employment Options available to help you one-on-one to find the perfect position that best fits your skills and talents. At Employment Options, Job Fairs and Webinars are hosted often and are absolutely free for those who would like to attend. To find out who we are and what we have to offer, visit our Job Fairs and Free Webinar pages to register for upcoming online events. Are you interested in hiring a more diverse workforce? You’ve come to the right place! We provide you with pre-screened, qualified applicants for Work At Home and community positions. We offer you the ability to post jobs for free and inform you about the latest tax credits. Visit our Employer section to Learn More! One Application for All Our Services! To apply for any of our jobs, simply submit an application online! Our friendly screening staff will follow-up in about 2 business days to discuss your employment options.